Teacher in Charge (Dr. Asit Kumar Pal) ,Kumarganj College, invites application in prescribed format from interested and eligible candidates for recruitment for the post of “Guest Lecturers” on no class no pay basis in the department of English, History, Philosophy ,Political Science, Sanskrit and Education . 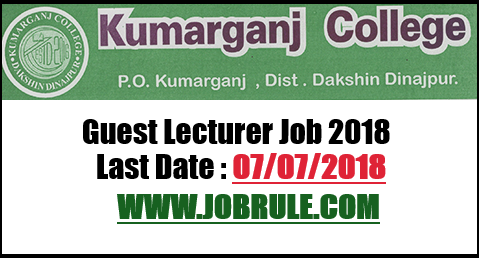 Kumarganj College Latest Guest Teacher Recruitment 2018. Kumarganj College, South Dinajpur, affiliated to University of Gour Banga (UGB) Malda, invites Online Application for Admission to Under Graduates Honours/General Programme Degree Courses under New Choice Based Credit System (CBCS) Syllabus and examination Pattern. 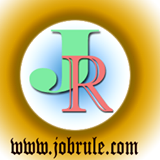 Check Kumarganj College Provisional/Final Merit List 2018. Jamini Majumder Memorial College , well known as Patiram JMM College , affiliated to University of Gour Banga (UGB) Malda, invites Online Application for admission to Under Graduates (UG) Honours/general Courses under new Choice Based Credit System (CBCS) Syllabus. Check Jamini Majumdar Memorial (JMM) College Merit List 2018. 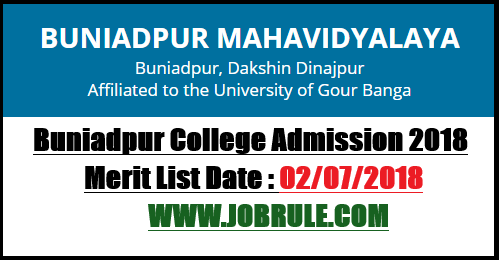 Gangarampur College (GMP College) , One of the best general degree college under Gour Banga University (UGB) Malda, invites Online Application for Admission to Under Graduates Honours/General Programme Courses under new Choice Based Credit System (CBCS) Syllabus and Exam Pattern. Check Gangarampur College Provisional/Final Merit List 2018.